The Stockton Heat hockey team hosted The Brighterside of Down Syndrome for a fun night on the ice on Friday, March 22nd. 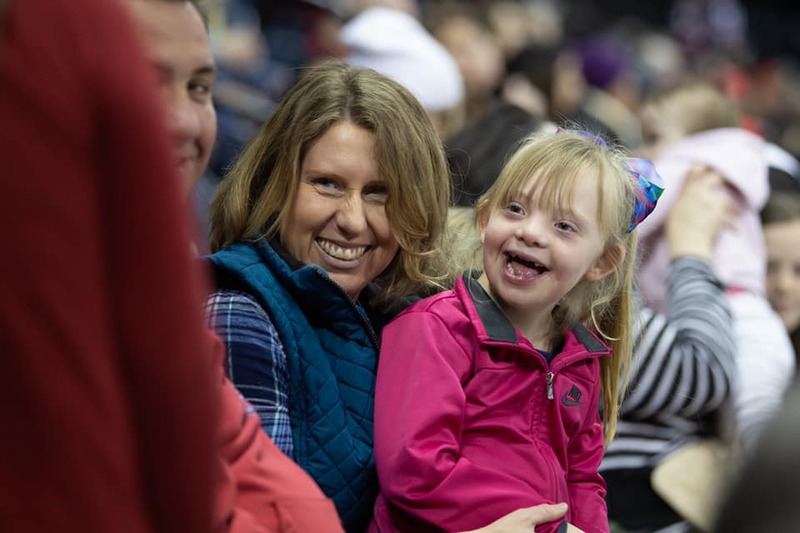 Families from all over the Central Valley joined us to cheer on the Heat as they held off the Iowa wild through all three periods and scored the winning goal in the last few minutes of the game. The energy and enthusiasm of our youngest Hockey fans was contagious! Thank you to all the families that joined us and brightened our day!